Inactivation of yeasts and bacteria in both the product and the circuit, up to and including the bottle, is fundamental in order to ensure biological stability through time of the packed product. A heat process achieves the result in the most simple and surest way. 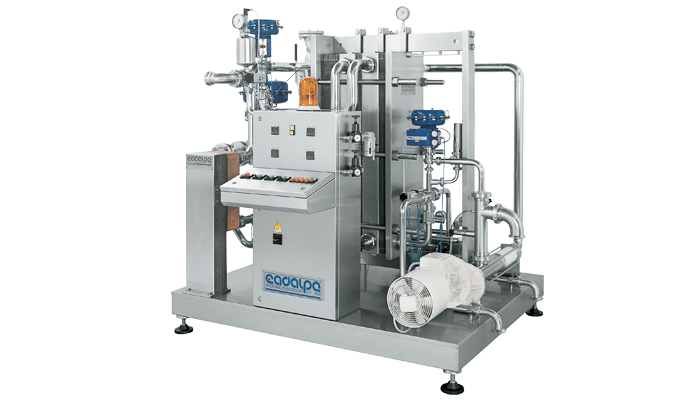 Our C 8 single, double or triple stage thermostabilizers with deareator, if required, are ideal for this application and offer the widest possible choice. Entirely in strictly sanitary AISI 304 stainless steel, with AISI 316 exchange plates, provided with sophisticated instruments for temperature and pressure control and regulation, our equipment is an avant garde technological solution in both its manufacture and operation. 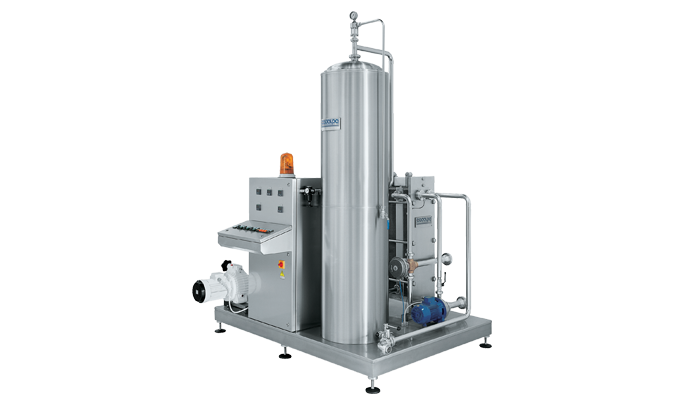 Also available is an optional column for preventive carbon dioxide saturation or a vacuum chamber for preventive de-oxygenation.